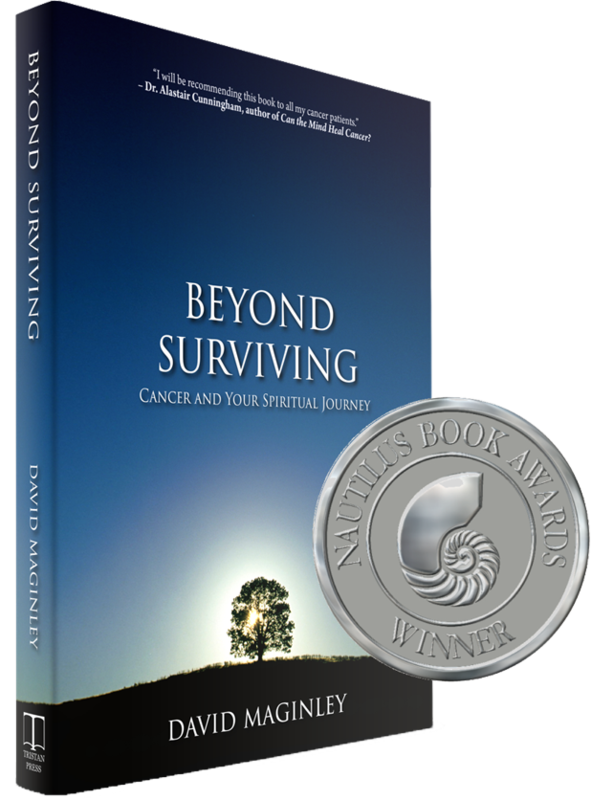 David Maginley | Chaplain, four-time cancer survivor, Near-Death Experiencer, public speaker and author of Beyond Surviving: Cancer and Your Spiritual Journey. … can skillfully provide context for our lives just when everything is falling apart. … an amazing ability to touch the emotional core of what patients and their loved ones are thinking and feeling. David’s presentation is the highlight of the day and can often brings them to tears. Every nursing student should hear him speak. David’s lecture was incredible – great energy, great info, great connection. He has a gift in helping others find calm and peace during challenging moments. Cancer challenges us to grow in love, deepen our humanity, and truly engage with the life we’re fighting for. Subscribe now for updates by David and receive a free chapter from Beyond Surviving: Cancer and Your Spiritual Journey. I speak on the most challenging topics: suffering and meaning, grief and hope, death and dying, the nature of consciousness and our connection to God through love. Your audience will be comforted and inspired to face the challenges before them with unexpected clarity, courage and compassion.